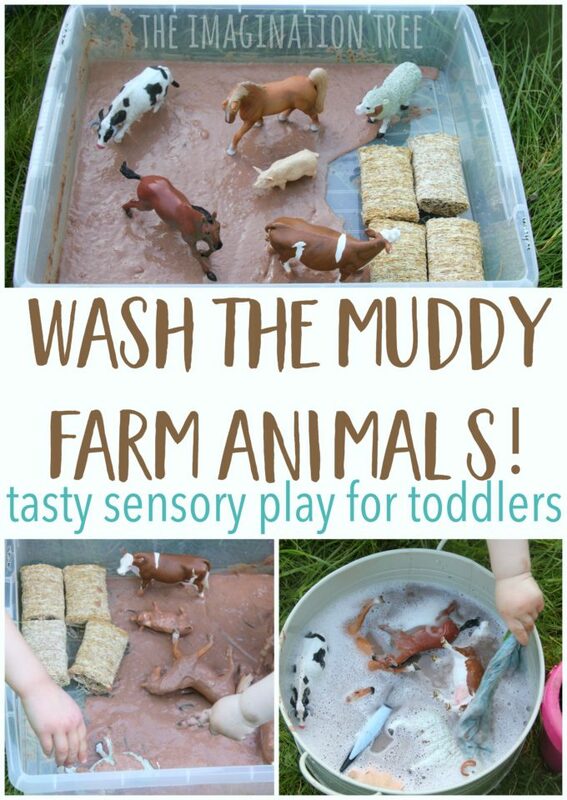 Create lots of fun for preschoolers and toddlers with this wash the muddy farm animals sensory play! This is a taste-safe play idea which makes it perfect for even the littlest explorer, and is wonderful when paired with a favourite farm story or song. 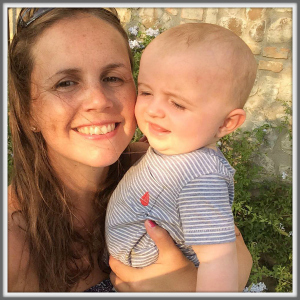 Having children with a range of ages and stages of development means it’s really great to find something that is not only fun but also safe for everyone to play with! 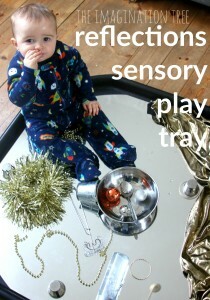 Sensory play is a firm favourite with babies, toddlers and even school aged children and is such a vital way for them to explore the world and have fun in a carefree way. 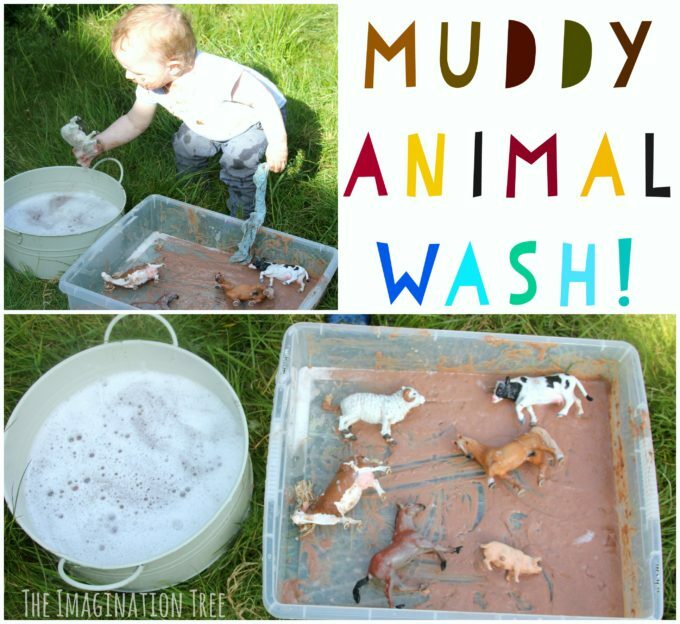 This wash the muddy farm animals sensory play is taste safe for little ones and appeals to all kids who love to both get messy and play in water too! We mixed up the chocolate pudding following the packet’s instructions and tipped it into a clean plastic tub. This became the “mud” for the animals to roll around in! Then we added some large shredded wheat to represent hay bales and some sprigs of rosemary for greenery. You can skip out the last two items if you want to focus just on the muddy play element! 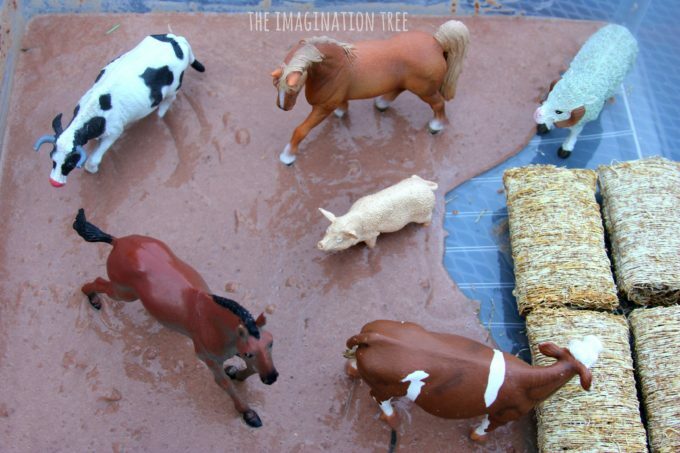 We aded them for some extra imaginative play fun and to make it even more like a farm-yard scene. 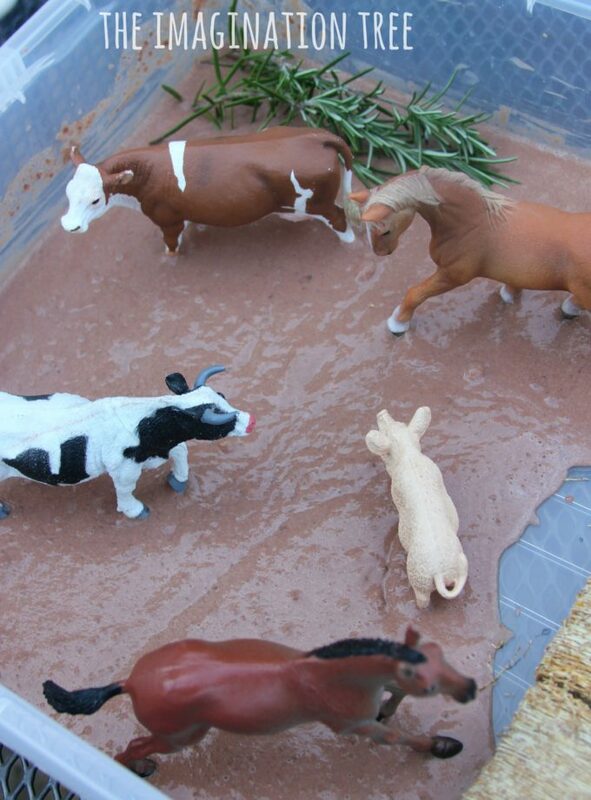 Into the mud we added the plastic farm animals ready to roll around and have a great time! 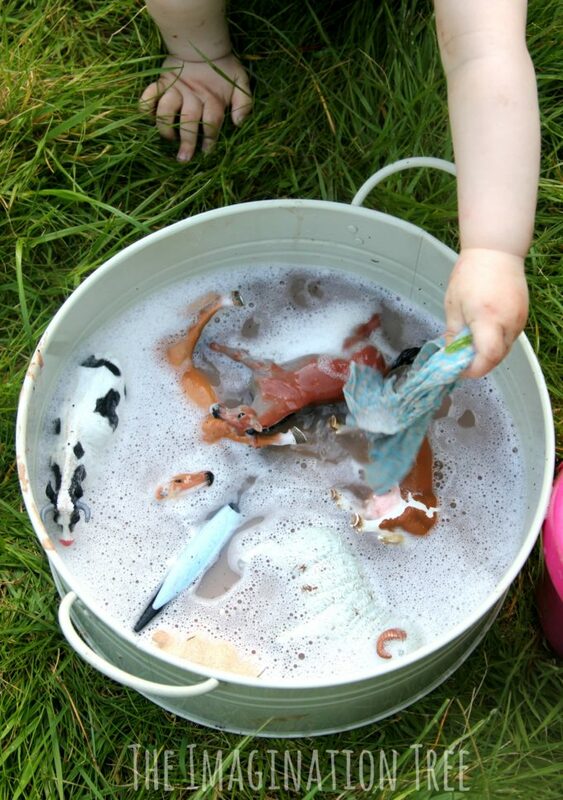 Next to this tub we set up a clean water station in another container, with some washing up liquid (dish soap) to make the bubbles and a washing up brush and cloth, ready for cleaning the animals up. I initially set this up for my littlest two who are 4 and 1. Of course I should have realised that my 7 and 6 year olds would completely adore this too as they always love sensory play! I’m pretty sure it’s vital for development at all ages, and they certainly proved that with their interest and enthusiasm! 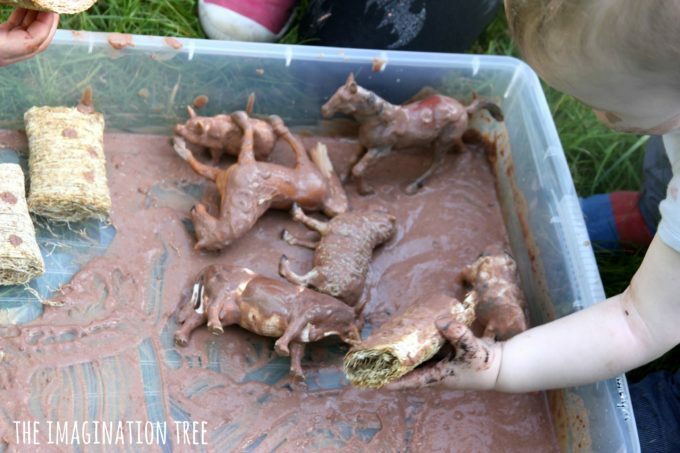 They played with the animals in the mud, giving them a good dipping and mud bath, then transferred them to the clean water to scrub them up nice and clean and fresh again! Baby boy loved the water even more than the “mud”, although he did enjoy licking his fingers when he discovered they tasted so delicious too! 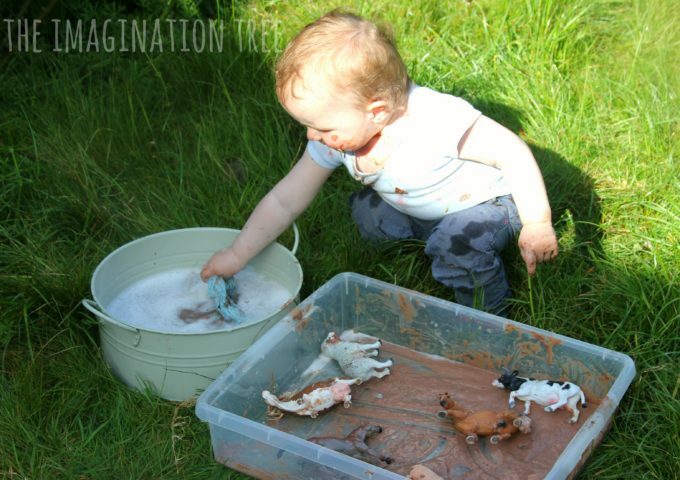 This sensory play activity would be absolutely awesome to go in conjunction with any farm-yard story or favourite animal song. I love the old picture book Mrs Wishy Washy (do you remember this from your own school days?!) and it is a perfect match for this! “‘Ooo lovely mud’ said the pig and he jumped in it. Along came Mrs Wishy Washy. ‘That’s better!’ said Mrs Wishy Washy, and she went into the house. My classes used to learn this off by heart and we all retold it together pretending to be the animals! Another, more recent firm favourite is 10 Dirty Pigs/ 10 Clean Pigs. This is such a cute story because it flips over up-side-down half way through and goes from dirty to clean in a continuous cycle (if you keep on flipping and reading again that is!) 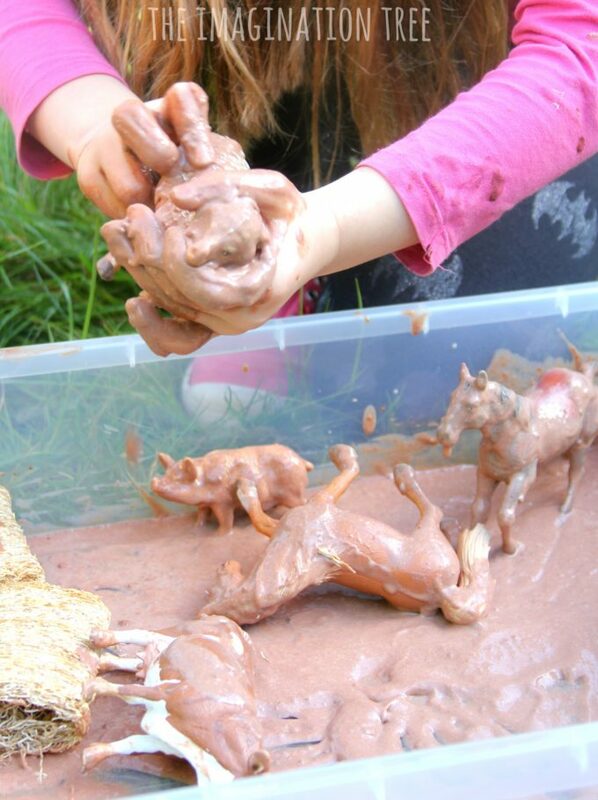 Kids adore this magical twist and think it’s so funny that the pigs roll in the mud then get clean, over and over again! 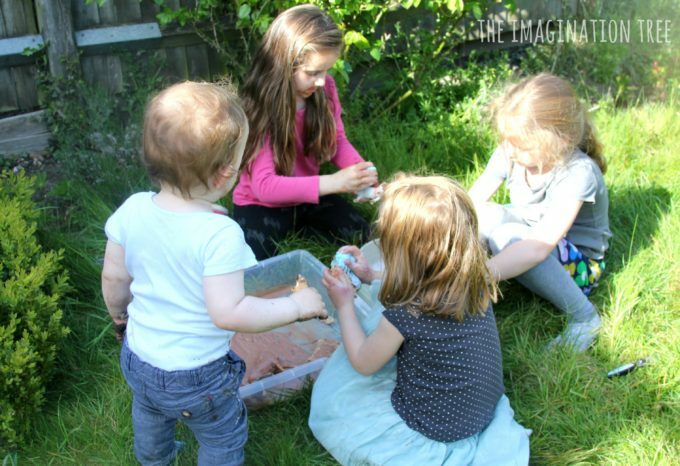 Clean up for this activity was quite painless and we will definitely re-visit this with similar themes throughout the summer months. 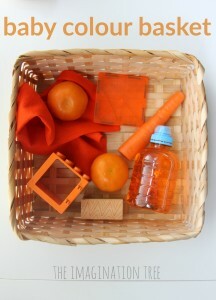 Check out our huge collection of SENSORY PLAY IDEAS here! 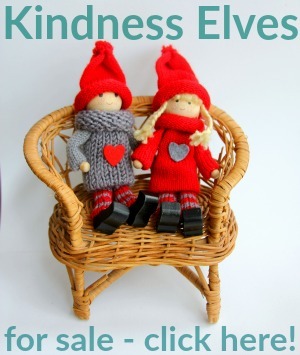 Be inspired by zillions of simple play ideas for toddlers here! 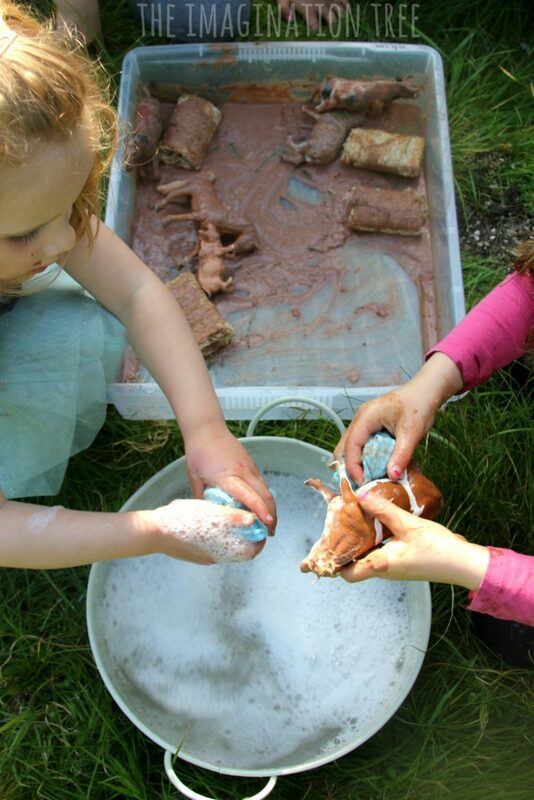 Sensory play, textures, animal names and noises, clean and dirty, motor skills, imaginative play, role play, co-operation, storytelling, narrative, language skills. « Brilliant Science Books for Kids!